Huckle, an 11 year old domestic short hair cat, had been seen by us for a growth on his chin that was getting worse over time. It had gotten to the point of bleeding and causing him pain when it rubbed on objects. It was recommended that we biopsy the lump to try and find out what we were dealing with and the best way to treat it. For the biopsy to be performed Huckle required a general anaesthetic and for this he was put on intravenous fluids to increase the safety of the procedure. The lump was found to be a squamous cell carcinoma (SCC), mostly caused by sun exposure. Huckle’s owners were keen to give him the best chance and have considered removing the lump via surgery; the only problem is it may require removal of some of his lower jaw. We needed to find out if the tumour had spread before we were to do a radical procedure on his jaw so chest x-rays were performed along with a biopsy of the lymph nodes under his jaw. Tumours often spread via the lymphatic system and can end up in the lungs. His chest x-rays were clear and now we are awaiting his biopsy results. If the biopsy is clear and there is no evidence of cancerous cells then Huckle is off to the Melbourne Veterinary Referral centre, Mt Waverly, to remove the tumour and part of his jaw. If the biopsy comes back with evidence of tumour cells spreading throughout his body then his owners are considering undergoing chemotherapy. 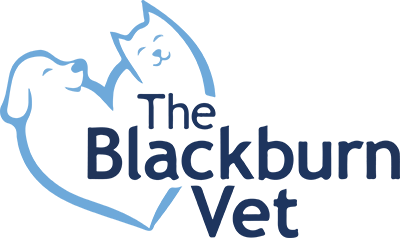 It is a good idea to get a vet to check out any lump you find on your pet and if they are unsure of what it is then they can test the lump further by an aspirate or biopsy as in Huckle’s case.